and to treasure the lessons you've learned. and feel certain those friendships will last. to celebrate every new day. 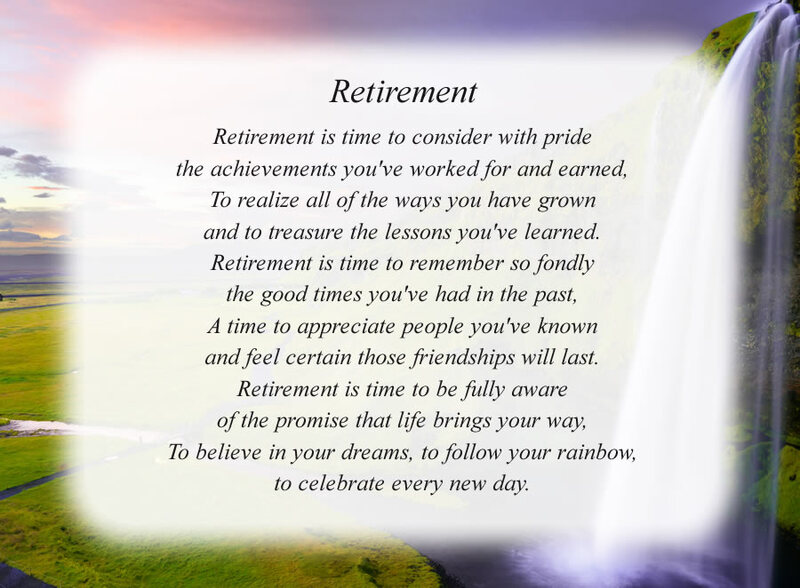 The poem, Retirement, is free and printable by opening or downloading using one of the three links below.